It’s not often that I pass on enchiladas, or any good Mexican dish for that matter. While I was enjoying this meal, I told Brian I love the flavors of salsa, tortillas, cheese, and anything else that goes with the main flavors. They taste so good! So why not throw in a few vegetables and call dinner good? Ok, I admit, we ate a salad with dinner as well. I like salad, in a different way. Easy Chicken and Sweetpotato Enchiladas is a healthy, and easy way to enjoy beautiful Mexican food. Like I said, I am a sucker for my Mexican food. I made these for a friend who is undergoing chemo and her lovely friends made a page on a site where you can sign up to make a meal for the family. So today is my day and I’ll drop this off in a casserole form with salad, and dressing. You can totally make these into a casserole for ease instead of rolling each individual tortilla as an enchilada. It’s ok, I won’t judge. You can see a theme in the past couple of weeks with my Mama being sick, I only posted once a week. Between that and the easy recipes I’ve posted, this is just another one that is delicious, easy to make, and great for leftovers. You may see a few more of these in the coming weeks. I hope they can help you too, you never know when you need a break in the meal prep right! 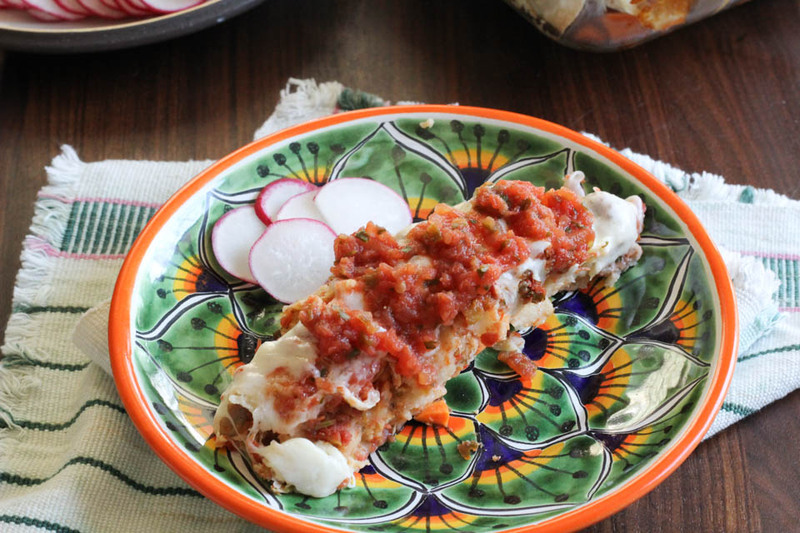 Easy Chicken and Sweetpotato Enchiladas is the perfect way to simple good food. Easily double to recipe for a crowd or ore leftovers. To cook chicken: Place 1 teaspoon olive oil in a small pan over medium high heat. When oil is shimmering, add chicken, cook for 15 minutes. Lower heat to medium, turn chicken and cover for 15 minutes, or until center of meat reaches 150 degrees. Remove, rest for 5 minutes, then chop. Place oven rack in center of oven and preheat oven to 425 degrees. 1. Combine cooked chicken, yam, and 1 cup salsa in a medium bowl, stir to combine. Place tortillas in microwave for 10 seconds to soften. 2. Place 2 tablespoon chicken mixture in center of tortilla. Roll, and place in an 8×8 dish. Repeat until all tortillas are filled. Using a large spoon, spread 3/4 cup salsa over top of rolled enchiladas. Place in over for 25 minutes. 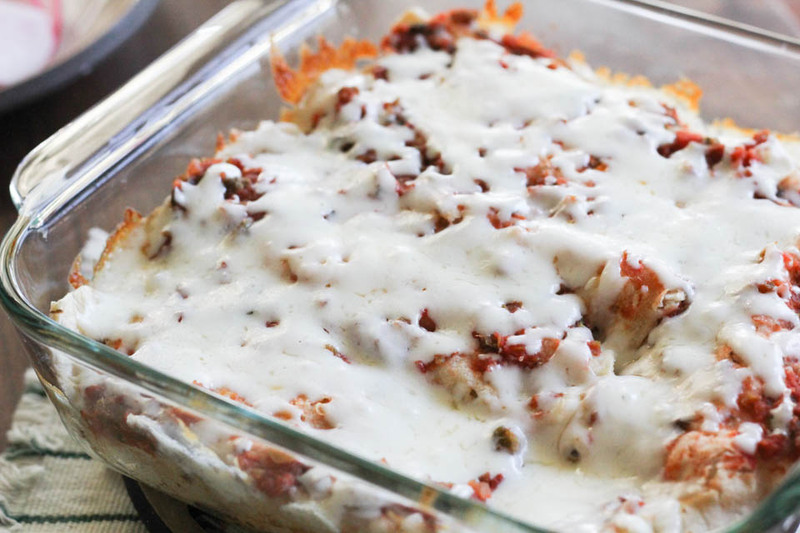 Remove, sprinkle cheese over top, place back in oven for 5 minutes, or until cheese is melted. Serve with a small spoonful of salsa on top and sliced radishes. Bean Dip from Created by Diane. Spicy Mexican Slow Cooker Pork Shank from The Tomato Tart. Black Bean Burrito Bowl from Simply Recipes. Crockpot Corn Chowder with Chicken and Green Chiles from Two Healthy Kitchens. Sweet potatoes are the best! I love how they pair with the spice of an enchilada. Yay! This sounds like the perfect dish to help recover your health. I adore Mexican food, especially when it’s been remade to be healthy! I hope your friend is doing better and I’m sure this dish will brighten her day. cristina recently posted..Kale Sprouts – It’s Kale + Brussels Sprouts in one! I saw that too, which is so funny! Thank you, it looks like a hot plate of food ready to devour. This sounds so good! Every time I stop by you are cooking something amazing. And that plate!!!!! Awe, thank you so much! I appreciate your sweetness. This looks so yummy! I love that you’ve added sweet potatoes for extra fiber and veggies! What a wonderfully healthy dish to take to your friend. It looks ideal! 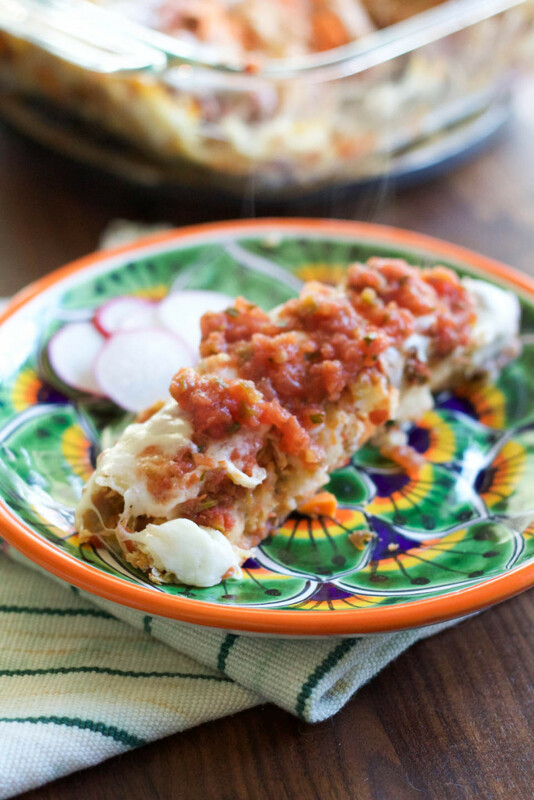 I rarely pass up anything Mexican either, and this dish is perfect for us! Thank you! It’s just good food, simple, and easy!